All too often, the idea of bringing the “best” together results in what runs close to unmitigated disaster as massive egos rush headlong into each other: any number of operatic performances in particular could be produced as evidence for that thesis. 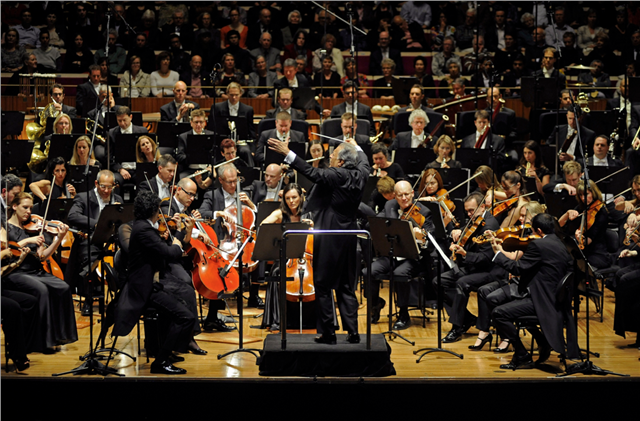 The idea behind the Australian World Orchestra, here captured in live performances from the Hamer Hall of the Melbourne Arts Centre in October 2013, runs dangerously close to that idea, bringing Australian orchestral musicians active domestically and internationally together to play some of the cornerstones of the orchestral repertoire. And yet — somehow — the result, as evidenced by this recording, is utterly electrifying, the orchestra tackling the sacred cow of modernism, Stravinsky’s Rite of Spring, and what is probably the most compact but also the most conservative of Mahler’s symphonies, the first, written in 1888 and revised in 1893. Only twenty years separate the two works, and the orchestra’s deeply sensitive account in this recording makes the contrast between the two all the more shocking. The furore surrounding the first performance of The Rite of Spring has long since become the stuff of legend, gleefully embellished by the composer himself. Much water has passed under the bridge of our collective musical experience since it was written, and so it is doubly thrilling to come to a recording in which the sheer brutality of Stravinsky’s score is in the foreground. From the tense, chthonic straining of the bassoon, through the wildly hammered “Danse des adolescents” and the preternatural hush of the introduction to the second part of the ballet and the thunderous savagery of the concluding “Danse sacrale”, I suspect we hear The Rite of Spring exactly as its first audiences heard it, its visceral violence an adumbration of the glorification of the machine in Antheil’s Ballet mécanique (1924) and the contemporary of the Futurism of Pratella and Russolo. Stravinsky’s music here, perhaps more than anywhere else in his output, is revealed as music of the future. Wind and brass, time and again entrusted by Stravinsky with the fugitive melodies of this work, really shine in this performance, and the ensemble from the entire orchestra is mechanistic precision at its very finest. From the second symphony, Mahler attempted something reasonably radical in symphonic form and orchestration, developing narrative strategies in the treatment of musical material and the atomisation of orchestral forces. The first symphony is basically still written in the core nineteenth-century mode, and the orchestra clearly enjoys the opportunity to revel in the Indian summer of nineteenth-century orchestral sonority the work represents. Practically everything is well judged in this performance, with sterling contributions again from the wind and particularly the brass bedded in a string sound that is massive where necessary and gossamer and shimmering where necessary. 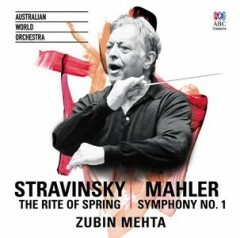 Zubin Mehta’s lifetime of experience in the world of orchestral music — his genius, in the most basic sense of that word — clearly drives everything here. But the orchestra is his equal and partner in both works and I for one can’t wait for whatever their next project is.